Living... in an NYC apartment with his mom and horrible stepdad. Percy frequently clashes with the grouchy, misogynistic Gabe and cannot understand why she puts up with him. Percy doesn’t yet know his real dad, who just so happens to be the Greek god Poseidon. In fact, there’s a lot that Percy doesn’t know about himself yet. Interests... swimming and hanging out with his best friend, Grover. Percy isn’t the most confident of 16-year-olds, but he’s in his element when it comes to the water. He can stay under for a full seven minutes! 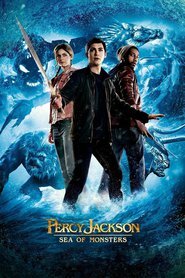 As Grover says, “Percy Jackson is a beast!” Sounds like something from his dad’s side of family. Relationship Status... single, for now. Awkward and self-conscious, Percy spends most of his life trying to stay under the radar. Besides, he is too busy trying to fix his mom’s dysfunctional relationship to worry about one of his own. Challenge... saving his mother. Percy hates the way Gabe mistreats her and often demands that he “show some respect.” Unfortunately, his requests fall on deaf ears and Mrs. Jackson continues to suffer. Little does Percy know, Gabe’s abuse is the least of her worries – and very soon Percy himself will have bigger issues as he discovers his true identity, like convincing an angry Zeus that he didn’t steal his lightning bolt. Personality... protective and sarcastic. Percy will defend his mother to the death. Not that it’s come to that yet – thought it might. For now, he just deals with Gabe through biting remarks and sharp insults. Once he realizes he’s a demigod, he may be able to do much better than that. 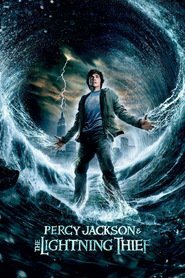 Percy Jackson's popularity ranking on CharacTour is #31 out of 5,000+ characters. See our top-ranked characters and read their profiles.